For those of us working in the sustainable materials management space, we’ve understood for a long time that plastic pollution in the world’s oceans has been a serious problem. But, for many, the concern reached a zenith when the World Economic Forum shed light on the projection that by weight, there will be more plastic in our oceans than fish by 2050 in the New Plastics Economy Report. With a little over a year since publication, a flurry of activity has surfaced among consumer packaged goods (CPG) companies involving ocean plastic. CPGs have developed numerous initiatives to both source recovered ocean plastic as an input for packaging and several apparel companies have engineered ways of using ocean plastic in textiles for clothing and shoes. Both are strategies that have important challenges worthy of examination, but also show multinational companies are interpreting circular economy principles in new and more diverse ways. 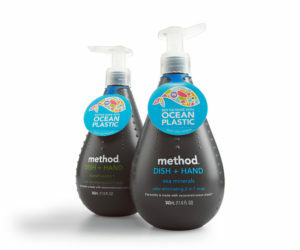 Much like Method’s conventional soap bottles that use 100% post-consumer recycled polyethylene terephthalate (PET), the ocean plastic bottles designed out the need for virgin plastic, reducing the carbon footprint by 70%. Since Method first broke ground in sourcing ocean plastic to produce plastic bottles, the industry has been innovating to increase the percent of ocean plastic in a given resin mix. Procter & Gamble, for example, is releasing a limited run of Head & Shoulders shampoo bottles this summer in France at Carrefour stores. P&G’s black high-density polyethylene (HDPE) is unique in that unlike many other ocean plastic packages, they’ve worked to sort-out other polymers from the beach plastic that it sources. In addition, P&G has raised the proportion of ocean plastic in the formulation up to 25%. More generally, the CPG company announced that by the end of 2018, it will have half a billion packages in Europe with at least 25% post-consumer recycled content, among its hair care portfolio including Head & Shoulders and Pantene. One downside to packaging that employs recovered ocean plastic is that the plastic’s color often results in a dark grey when processed. From this point, many companies will then use dark or black colorants to make the package appear more uniform and provide more juxtaposition with competition on-shelf. When on the sorting line at a MRF however, this results in near-infrared (NIR) sorting technology not being able to distinguish between black polymer types. The Association of Plastic Recyclers (APR) illuminates in their authoritative Design Guide that, “There is no mechanical property inherent in black HDPE that makes it unrecyclable. The problem lies in sorting and the physics behind polymer identification.” The same NIR sorting challenges affect black PET, but unlike HDPE, opaque colored PET does not have an end market even if sorting challenges were overcome. Another challenge that P&G’s Vice President for Global Sustainability Virginia Helias highlights is the limited quantity of beach plastic and much higher expense due to the complex supply chain of its collection and processing. Critics of ocean plastic use in plastic packaging will point out that this elaborate supply chain also likely means that the environmental toll of transport involved negates some of the benefit to the material recovery. Yet, conservationists are quick to counter that if the material is being collected by volunteers from beaches or waterways already, a second-life as a package or textile is certainly a better outcome than a landfill or incinerator. No matter where you stand on the issue today, be sure to engage in the conversation during the Sustainable Packaging Coalition’s next Open Forum on March 23rd from 1-2pm EST. 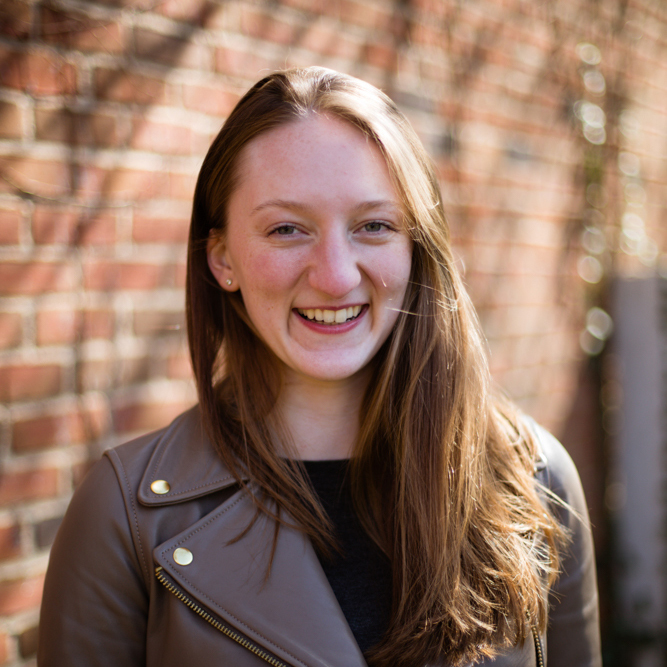 Joi Danielson from the Ocean Conservancy and Procter & Gamble’s Jack McAneny will be shedding light on their work in the ocean plastics space. Learn more and register HERE.